Mi A2 is the the second device from Xiaomi running Android One OS released earlier this year. Mi A2 is released with Android 8.1 and is the best Camera phone under 20K segment. 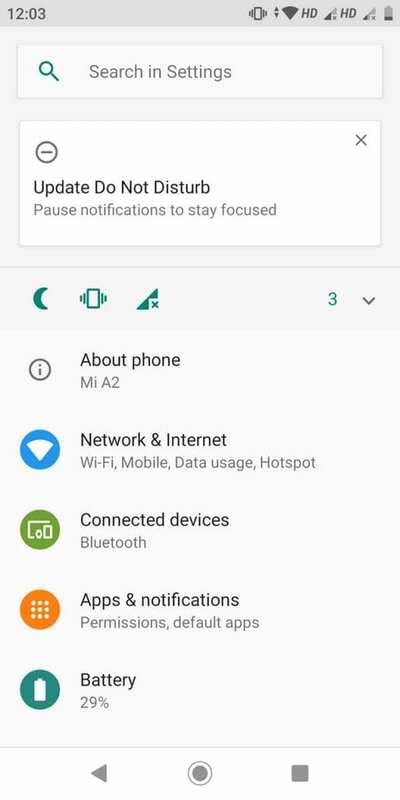 Xiaomi and Google are pushing Android Pie 9.0 update for Mi A2 and users are receiving this update as OTA update. We have got some screenshots from our friend at Preepin.com. What is new on this Update? Along with Android Pie 9.0, there are security patches included. 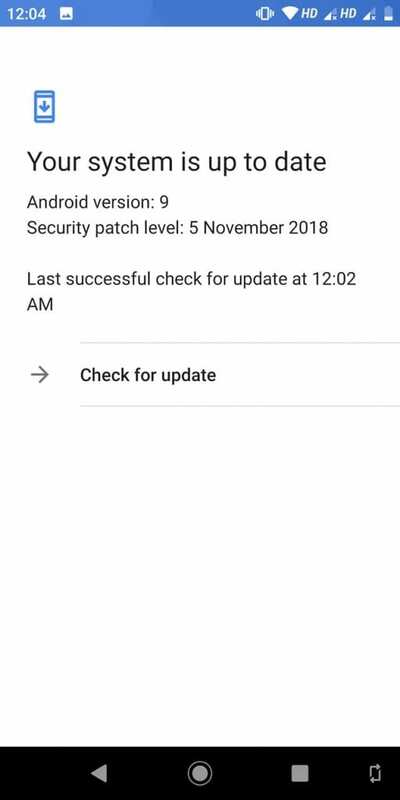 Android Security patches up-to 5st November 2018 are bundled in this build. How Big is Android P for Mi A2? This build is nearly about 1067.7 MB and you can downloading using your Mobile Data as well. 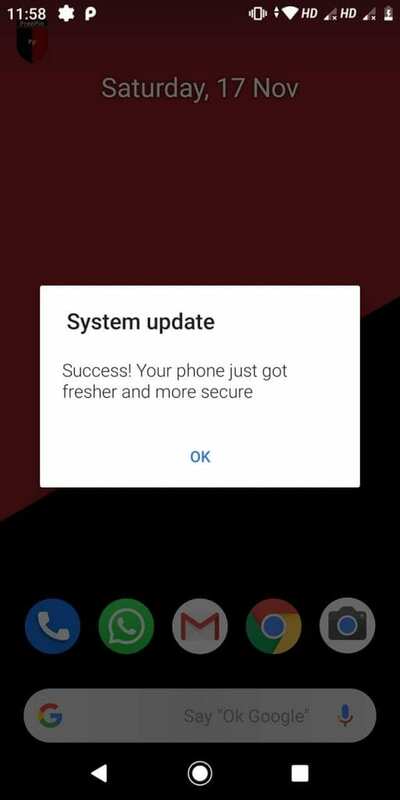 How long does it take to install this update on Mi A2? This build takes nearly 15-30 minutes to install on your phone. During this period, you will not be able to use your phone. 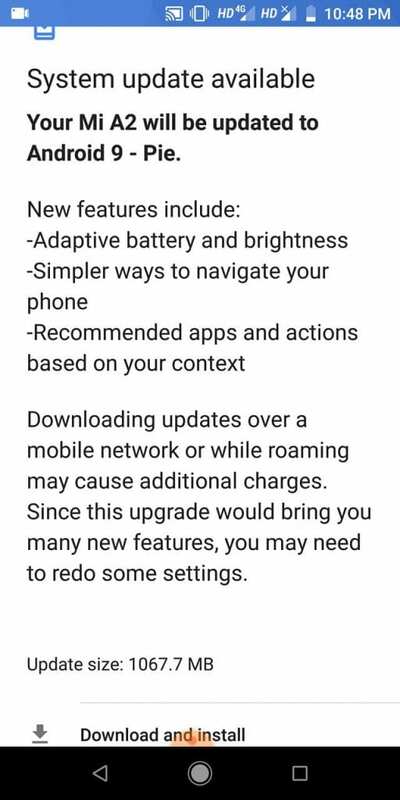 Your phone will be upgraded to Android Pie 9.0. Should I take backup of my data? While installing this update, any of personal data is not deleted. So it is not necessary to take backup of your phones local storage data. Tap on App Drawer > Settings > System > About Phone > System Updates. 1 What is new on this Update? 2 How Big is Android P for Mi A2? 3 How long does it take to install this update on Mi A2? 4 Should I take backup of my data? 5 How to download this update?